23-year old Mako, freshly graduated from a women’s college, and gets a job as teacher at an all-boys high school. They are notorious for their roughness throughout Tokyo! 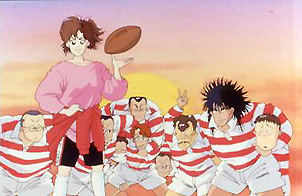 She is appointed to coach the school’s rugby team and with her passion and courage, she tries to make the bad boys turn over a new leaf.